Bernice B. Cousins, Co-Director of the Actualism New York Star Center, passed away July 23rd in Rhode Island at the age of 78. Bernice was truly one of the pioneers of the New York Star Center. 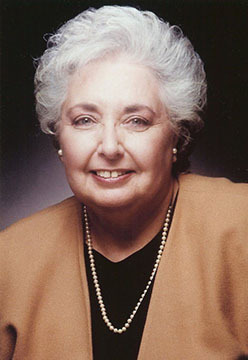 In the 1970s and '80s, she and her frequent partner in creative and organizational projects, Valda Wells, worked tirelessly to promote and support the center and the visiting teachers. Meanwhile, Bernice progressed through the teacher training program to become a teacher of all levels of the work. Bernice was one of the first advanced Actualism teachers never to have lived in an Actualism Center, to have raised a family and who continued to work full-time outside the Center. Those experiences gave her a unique perspective on the teachings of Actualism and how they could be applied to the rest of the world. She brought that understanding to her extensive spiritual work with the United Nations, a project she loved deeply. Bernice was an integral part of the founding of the Actualism website in 1996, working closely with Bruce Jaffe. Over the years she created, wrote and and edited the Planetary Circle of Light page, the "Words of Wisdom" section with book reviews, and was one of the founding members of the Healing Grace Circle. Bernice was an adept at communication, and served as a kind of hub for keeping relationship lines open with students and teachers who had left Actualism and moved to far flung locations throughout the country. She was one of the pioneers of long distance Actualism teaching, working by telephone to help students keep up with their studies who lived too far from an Actualism Center to attend classes in person. A few years ago Bernice moved from her lifelong home in Queens, New York to Barrington, Rhode Island. There she lived in a house next door to her eldest son, David. She loved and often spoke about the wide variety of flora and fauna that she could see from her living room there. It was a kind of sanctuary for her. Please accept our condolences on the loss of your mother and dear family member, Bernice B. Cousins. As you probably know, she was a very important member of our Teaching Department for many years, and was Co-Director, with Bruce Jaffe, of the Actualism New York Star Center. She had been a member of our Board of Directors and had served as Corporate Secretary. In all of these positions she kept New York Center and all of Actualism radiating with her passion for the Love and Light that she taught and brought into every aspect of her life. She brought this love for the highest orders of spiritual life into the United Nations, where she supported programs for peace and enlightenment for many years. We celebrate our beloved Bernice, a celebration shared by many on Earth as well as those on the Inner Planes who now welcome and honor her. She achieved what we all want, to make the world a better place than we found it. She will be greatly missed by us all. An internment service was held at the Calvary Cemetery in Bernice's hometown of Queens, New York. She wanted to be buried there near her parents and the home in which she grew up. Her family requests that in lieu of flowers, donations be made in Bernice's name to the American Cancer Society. Bernice's fellow members of the Actualism New York Star Center held a memorial service for her on Saturday, September 25th. We were honored that Bernice's younger son, Jason, was able to attend. She will be missed!